Paola Raggo is a visual artist originally from Santiago, Chile. Now she lives in Brisbane. Her first interest in Street maps started with her need of orientation in her several trips back and forth between Australia and Chile. Then a need of belonging developed so they become a metaphor and the centre subject in her work. 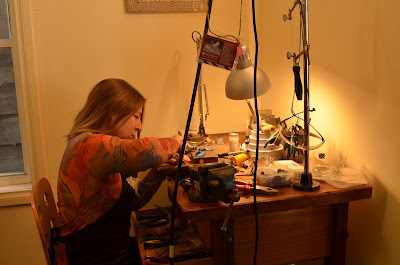 During her 25 years career she has participated in several international jewellery exhibitions lately stand out “Delirio y Cordura” at Velvet da Vinci gallery in San Francisco and “Aureus Feeling” at Creativity Oggetti gallery in Torino. 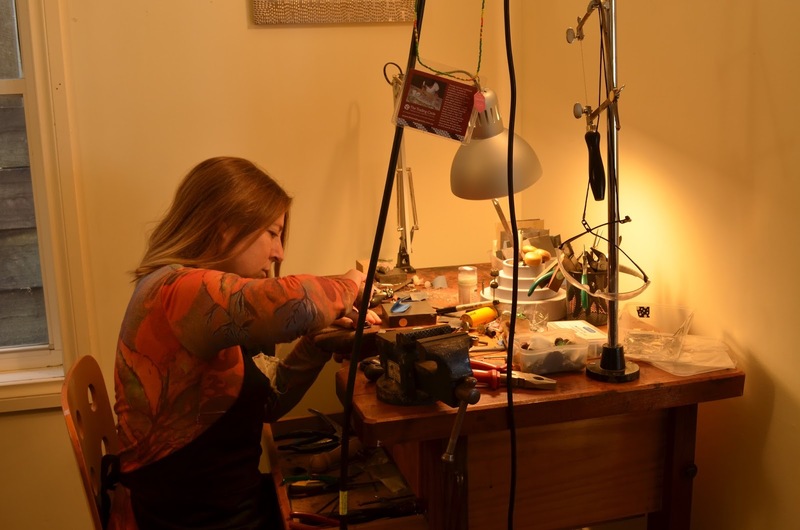 Parallel to her creative work she has been a jewellery teacher and cofounded two jewellery schools. Her work is an intuitive and exploratory engagement with the street: street maps that reveal geometric nets forming organic and geometric shapes. Paola sees the space in between like a fantastic abstract design made for a purpose other than beauty; yet it is profoundly aesthetic. Through her process of extracting shapes from maps and translating them into silver sheet, she is able to suggest places, people, lifestyles, cultures and feelings. The map starts to become a metaphor - speaking about place and the survival of natural forms.